Issued a receipt for R105 to B. Baloyi in settlement of his account of R126. A: This is a typical accounting question to test your understanding of debtors or receivables (people who owe you money) and bad debts . The first thing that makes this question tricky is the issuing of a receipt. Many people do not actually know what a receipt is. So let's clear it up. A receipt is simply a slip or document that is issued when payment is received. Usually this is generated by a computer. You probably received many receipts in your life when purchasing things, and some of them may have looked like the one pictured here. It's also important to understand what settlement means. A settlement (or when you settle an account ) means paying an account off in full. Remember also that a person who has an account with the business is a person who owes the business, in other words, a debtor or receivable . So basically what we are talking about with the above transaction is Mr. Baloyi (debtor/receivable) paid off his account fully by paying R105 out of R126. How do we know he paid it off fully or that he doesn't owe anything anymore? Because it says that the receipt was issued in "settlement of his account." So in other words he settled his account - he doesn't owe anything anymore. But what do we do with the R21, the amount he didn't pay (R126 - R105)? What is this? This is something called bad debts . Bad debts are debts owed to the business that go bad, which means they don't actually get paid in the end. Bad debts are a loss to the business and are classified as an expense . In the 1st entry bank is debited as it is an asset which is increasing for the business. Debtors/receivables is also an asset but is decreasing as less is owed to the business. So this account is credited. In the 2nd entry we show that bad debts is recorded as an expense (debit). And the credit against this again goes to the debtors/receivables account. The net result is that we are showing bank increasing by R105, R21 bad debts and R126 reduction in debtors/receivables (what is owed to the business). FYI, you could also count this as a "discount allowed" instead of bad debts. There's not much difference in this case - "discount allowed" is also an expense. Please note that I do not provide full lessons, examples and exercises regarding bad debts (and provision for bad debts) on this site really. This is only available in my basic accounting book , which you are welcome to purchase. Hope that makes sense and good luck! 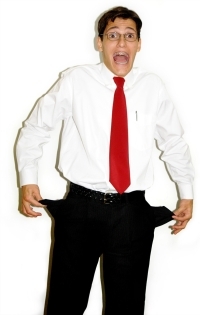 Full settlement means full and final and the debtor gives no money further. The balance is treated as an expenses or discount. Settlement means the balance is deferred for sometime or he makes payment in installments. Return to Ask a Question About This Lesson!. © Copyright 2009-2018 Michael Celender. All Rights Reserved. © accounting-basics-for-students.com. All rights reserved.